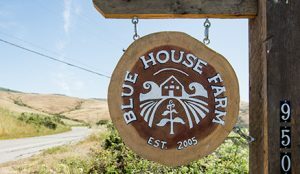 (Palo Alto, Calif.) – Peninsula Open Space Trust (POST) has awarded Blue House Farm a long-term agricultural lease, with an option to purchase the property as protected by an agricultural easement, on 74-acres of POST-owned farmland in San Gregorio. This announcement comes after an extensive proposal process to find the best long-term tenant for the property. POST acquired the land in March 2015 for its spectacular scenic beauty, natural resources and rich agricultural soils. POST, along with an expert panel of external reviewers, selected Ryan Casey, owner of Blue House Farm, as the next farmer at the property based on many ecological, economic and social factors. Known for delicious heirloom tomatoes, strawberries, peppers and leafy greens, Blue House Farm sells over 50 types of organic farm products through farmers markets, a Community Supported Agriculture (CSA) program and local grocery stores. 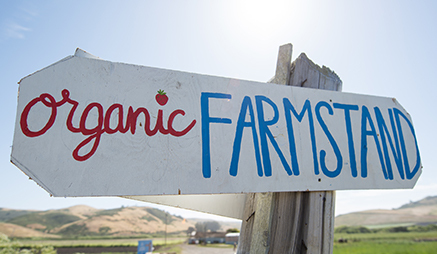 By doubling the amount of land they manage on the San Mateo Coast, the lease provides long-term stability and an expansion opportunity for this popular organic farm. It also provides them with vital infrastructure and a place to connect with the community through ecologically friendly farming events, a seasonal roadside farm stand and a “u-pick” program. “When we first started on 4-acres of POST protected land, we never knew how far and how fast we could grow the business. 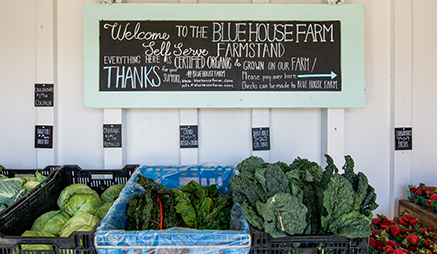 Now, 10 years later, this new property gives us the long-term stability we need to invest for the future and build a business that’s good for the community, the land and for Blue House,” said Ryan Casey, co-founder and owner of Blue House Farm. Casey is currently planting organic vegetables on 15 acres of the property and improving the soil by planting cover crops and grazing sheep on the remaining 43 acres of arable land, which are transitioning to organic production. 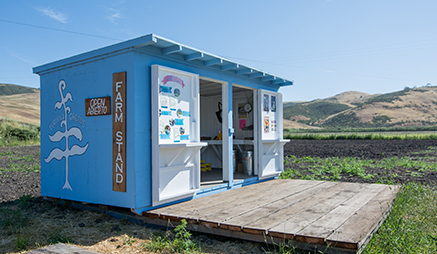 An adorable blue farm stand recently opened on the property, right on Highway 84, with products available for purchase on an honor system. The farm stand is open weekends from 10:00 AM – 5:00 PM. In San Mateo County alone, over 35% of the farmland has been lost in the last 30 years. 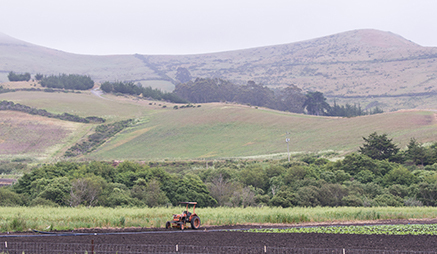 POST’s Farmland Futures Initiative seeks to stem this alarming trend through a combination of land acquisition and agricultural conservation easements to triple the number of farms and farmland acres permanently protected for agriculture on the San Mateo Coast over the next decade. Meeting these goals will increase the number of farms protected on the San Mateo County coast from 11 to 33 and grow the total acreage of protected productive farmland from 750 to 2,250 acres. Visit farmlandfutures.org for more information. POST is a leading private, nonprofit land trust that protects and cares for open space, farms and parkland in and around Silicon Valley. Since its founding in 1977, POST has been responsible for saving more than 75,000 acres as permanent open space and parkland in San Mateo, Santa Clara and Santa Cruz counties.